There will be hundreds of Independent candidates running at the next election. The vast majority of them will get under 5% and lose their deposit. There are only two examples of genuine Indies winning seats in recent times. (I’m excluding non-aligned former politicians such as Dai Davies in Blaenau Gwent). Richard Taylor. Wyre Forest 2001 & 2005. Running on a single issue platform relating to the local hospital, he was helped by the Lib Dems standing aside in his favour. Martin Bell. Tatton 1997. He ran as an alternative to sitting Tory MP Neil Hamilton, who’d become caught up in “sleaze” allegations. Labour & the Lib Dems stood aside. Name recognition. He’ll already be known to the majority of the voters in Salford. He’s also quite a popular guy as evidenced by his 2005 Celebrity Big Brother victory. Early start. He’s going about this the right way by launching his campaign well in advance of the election, rather than just rocking up three weeks before the vote with a few leaflets. His Reality Party stood in the Irlam ward on Salford council last month and got a very respectable 17% of the vote. Retiring MP. Hazel Blears is standing down and thus Labour will need to field an inexperienced and possibly little known candidate in her place. 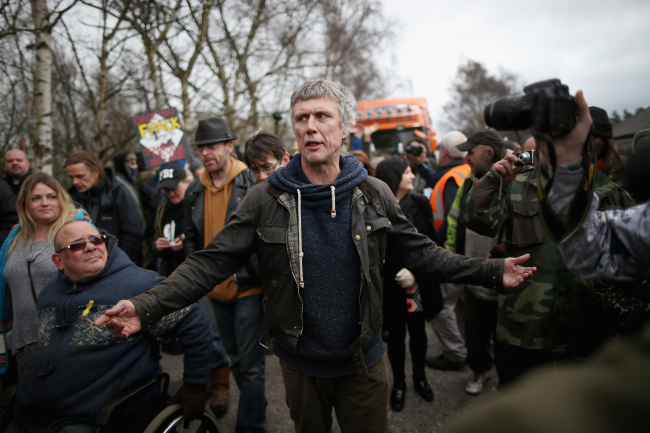 I suspect Bez will do a lot better than some other “celebrity” candidates and wouldn’t be that surprised if he could get 10% or so, which would actually be a very creditable result. This is a very low turnout seat (55% in 2010); perhaps if he can motivate a lot of previous non-voters he might do even better than that.